At one time or another, we have all probably had the unfortunate experience of smelling a dead animal. What do you do when that smell is in your home? If you have bad odors coming from somewhere in your house, then you are in need of a dead animal smell removal service. How to Get Rid of Dead Animal Smell? The first place to start when attempting to get rid of dead animal smell is to find the source of the smell. That is not always the easiest thing to do. It can be difficult to locate exactly where the smell is coming from. 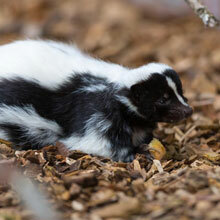 If you can locate the animal, then removing it from your home is the start of ridding the smell from the air. What if I Can’t Reach the Animal or Can’t Find it? Animals will often die inside walls, attics, under your home, or in other inaccessible areas. You may not even be able to see the animal in question. When times like these come along, you are in need of a company that offers a dead animal extermination service. Who Offers a Dead Animal Smell Removal Service? Bug-Man Pest Control is more than just a pest control service. We have the ability to get rid of dead animal smell in your home. With our dead animal extermination service, we hunt down where the animal has died, and remove it from your home. Once the body is removed, we will disinfect the area from things like germs and bacteria. We also can use odor absorbers and something that will eat away the bacteria that actually causes the smell. It is our passion to make sure that your home is free of pests and rodents. We have been serving the Jacksonville area for 40 years. Should you have any questions regarding dead animal smell removal, please contact us today. We can explain the process and help you get rid of the smell.